It was Friday night and F-16’s were scrambled over Ankara, targeting Intelligence buildings, striking the Parliament and downing Police helicopters. 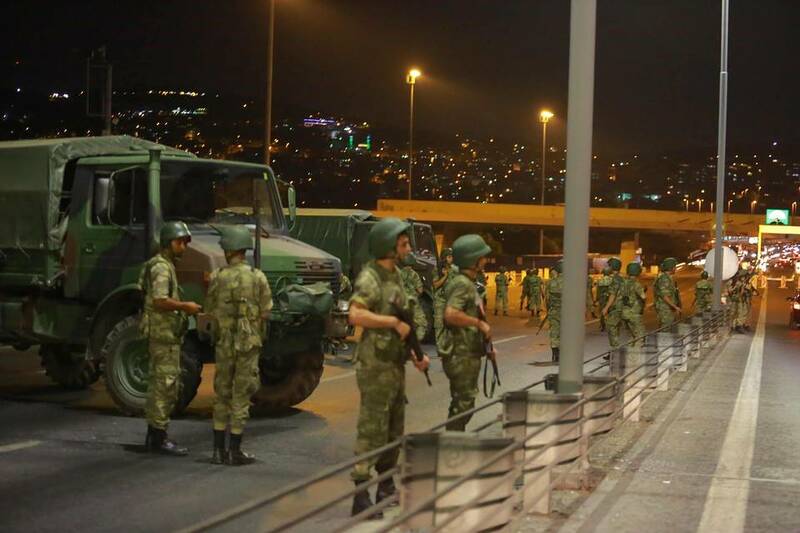 Tanks went on the streets of Istanbul, closed the Bosporus bridges, as tactical units seized media buildings of CNN Turk, Hurriyet News and others; high ranking officers were taken hostage as others were killed. It was one of those moments when the Turkish Deep State boiled out. But was it a Coup or a Power Play? was it organic or self-directed? Is this an existential threat for Erdogan, or an opportunity? Many vital questions, a large chunk of unprocessed data, unconfirmed news and a lot of geopolitical inputs – this is what the intelligence picture looks like at the moment. As I argued in an previous analysis, Turkey has a symbolic history of military interventions in State affairs, for enforcing democratic principles, for secularism (except for the 1980 one) or for power plays. The simple narrative is one, the real motives as the actual outcome, are another story. Nonetheless the narrative principle plays a huge part in any Coup, there was to be some simple, actual and palpable concepts that people, regular soldiers, workers and politicians alike to rally around. In a nutshell, the Army in Turkey is another check and balance power. Even tough this role is fading as a direct result to Erdogan’s political engineering. This Coup did not have an ideological concept, nor was it strong/ promoted enough. As an effect, the population did not respond to the call; the Armed Forces did not have an internal convergence. Thus making another effect: limited resources and not enough defense assets to project force on the ground or at least to logistical sustain such an operation; example: the F-16’s that operated in Ankara’s airspace were fueled by tankers launched from the Incirlik Air Base, located near Adana – almost 500 km apart. Civilian supporters were not enough to at least balance the pro-Erdogan followers. Soldiers involved in the Coup were mostly conscripted and stated that they did not knew they were taken part to a Coup, but to a military exercise. Lack of motivated fighting power or a strong collective support are negative marks to begin with. Political Opposition opposed the Coup. An action which is food for thought on why the plotters didn’t find any political support but actually brought a historical convergence of Turkish politics and a rare moment of unity in the General Assembly (Parliament): AKP, CHP, MHP and HDP (Kurdish Party) all spoke against the Coup describing it overall, using terms as “illegal armed take-over”, “direct attack on democracy”. While the Euro-Atlantic community did stay silence, and did not condemn the Coup immediately, which gave the plotters a fighting chance, they never actually took a pro-stance. Nonetheless I’m sure that important Allies were notified before the action. For example, we learn that through out history, the US was always notifiend 30 minutes in advance by Coup plotters and they usually green-light the situation. Both plotters and partners need to be in good relations so why no start the foundation of cooperation from the base. MiT (Turkish Intelligence) was not on-board with the plan; there are many reports and scoops saying that Intelligence workers alerted the President and his people of many movements. Alleged links with the Gulen Movement of most of the plotters. The Gulen link is heavily debunked by the man himself, but of course that should not be the end of the discussion. Proof is yet to be shown and until than, this should be rested as a working theory but not the only one, as many AKP figures were also arrested in connection to the Coup. Overall we could say that this attempted coup was actually a power play acted in absence of Erdogan, using mostly conscripted soldiers, unaware of the action, having few defense asset at disposal and lacking popular or total army support, due to the absence of an ideological narrative. For his loyalty, Umit Dundar, was appointed from Saturday as the new Chief of General Staff, replacing the kidnapped Hulusi Akar, which we’ll get to in short time. Loyalist ex-1st Army Commander, Umit Dundar, now appointed Chief of General Staff, after essentially saving Erdogan. A commando of 20 operators are preparing to breach the presumed area of Erdogan’s location. Security forces spots them, they open and exchange fire; two pro-Coup soldiers are killed. They retreat and take cover. They eventually find out that Erdogan has left 62 minutes ago. Flying towards Istanbul, there are reports from Turkish media, quoted by Reuters, that two pro-Coup F-16’s were tailing Erdogan’s flight and the fighter jets escorting him. Those alleged jets radar locked him, but did not fire; a strange and yet to be fully confirmed information which doesn’t fit in many scenarios – I will mark this as a wild card input. In Istanbul the Army began seizing the bridges over the Bosporus, in order to isolate Erdogan on the European side, presumed to have landed on Ataturk Airport. A CNN Turk reporter gives him the chance to talk, by recording him with his phone. The speech he delivered was the catalyst that informed people of what was going (Coup) on and what was need to do: hit the streets. His call to action was executed through TV and Social Media.This is very unexpected for a President who censors the Press and blocks social media. Mosques were one of the most effective tools into gathering crowds to mobilize and hit the streets. One of the many trademarks of Erdogan, reincorporating Islam into the Politics, basically played a huge role in his salvation. A declaration of Coup was made public which should have formalize the attempt Turkish Chief of General Staff Gen. Hulusi Akar was held at gunpoint and ordered by his private secretary to sign a coup declaration, as all force commanders were taken hostage by their secretaries, aides and guards on the night of the coup attempt, sources have claimed. 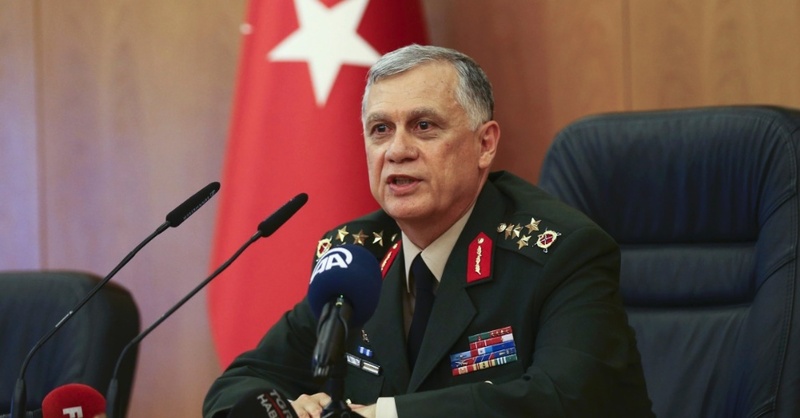 The General Staff HQ in Ankara was taken by Special Forces who initially said that this is drill, only after they’ve identified the location of high value targets, as Hulusi Akar, did they reveal their plan. On Saturday the Chief of General Staff was rescued from pro-Coup soldiers. His position was taken by Umit Dundar, the one that scooped Erdogan regarding the Coup. As the plan was exposed by night and the soldiers overwhelmed by morning after firing at protestors, the undecided and even the decided had time to leak and denounce more and more regarding the people behind it. In a matter of hours, the tables have turned, the plan was exposed, and the Coup failed. As Prime-Minister Binali Yildirim says: “90% of the situation is under control”. 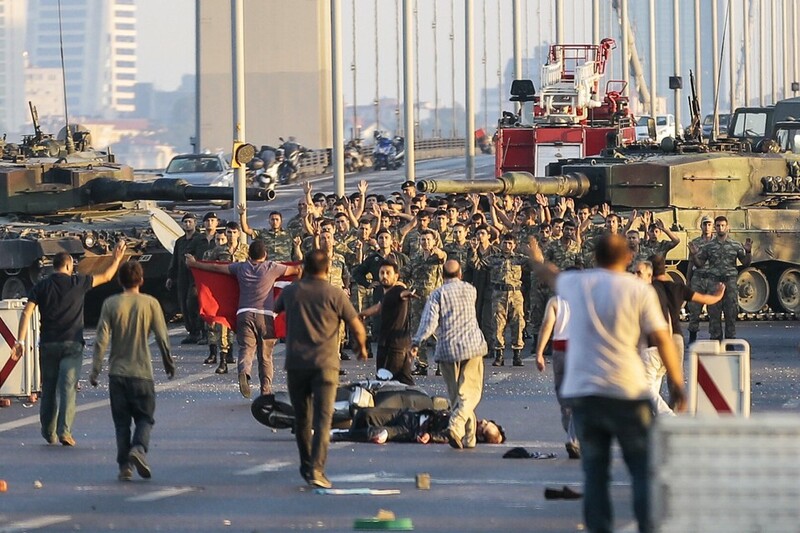 Over 300 people died as a direct result of the Coup, over 2,700 judges and prosecutors dismissed, and at least 8,000 people in defense and security positions were changed. Many of those dismissed individuals await to be imprisoned. Some unconfirmed reports even point out that several high ranking generals were even killed. Yesterday, July 17th there was fire exchange in Istanbul’s second Airport, Sabiha Gökçen, as today July 18th, the Turkish Parliament in Ankara was evacuated following reports of an imminent attack. Both Erdogan and Yildirim have called of the protestors that formed the counter-Coup to remain on the streets in order to “protect democracy”. We can observe that the popular counter-Coup was efficient and it’s considered more trust-worthy than the security sector. An observation can led to the conclusion that the quick mobilization can be attributed to not only Social Media and TV, but Mosques alerting entire neighborhoods, too. But the tactical achievements of such crowds, freezing defense assets as tanks, the cruelty of attacks (a soldiers was decapitated) can led to the assumption that those crowds are coordinate and front-lined by paramilitary groups and mobs. Approaching from a simple leadership analysis point of view, we can state that an autocratic leader as Erdogan knows that such an attempt, even fake, would bring him an unique position of weakness, and a chance for external actors (even allies) to support the transition to a (hopefully) more democratic, or at least a different, leader. A Coup d’etat is not something to be toyed with. Erdogan doesn’t need such dramatic examples in order to enhance his judicial and political powers. His party has the large majority of the Parliament, runs by their own the whole Government and has media restrictions imposed. It’s not like there is a real or powerful position ready to overthrow him, political nor popular – clearly stated by their poor support of the Coup. This attempt was an existential threat to Erdogan but how much of an opportunity was it, it remains to be seen. Euro-Atlantic partners have expressed their support to the elected Government, but they’ve also put pressure on him, trying to keep in check the way he handles the situation. There is indeed a powerful post-Coup crackdown (especially in the security, judicial and political sectors) on the horizon, but that’s also something that should be expected from every country. RED FLAG: Amendment of the Constitution. There is no secret that a presumed main goal is to enhance the Presidential powers, powers of which were boosted in the 80’s Coup. If he does this, then we would have best proof that the Coup attempt did play a major part into his alleged schemes. Him, controlling so well the Deep State, is one of the main reasons why people vote for him. Not because he has popular trust, but because they fear the huge instability that would come after a possible stepping-down from power. Many of them still remember the atrocities, false flags and disasters, conducted my mobs, police, MiT, paramilitary groups from left and right wings, Turks and Kurds alike, all over Turkey in the 70’s; that it was needed for the Army to intervene in 1980 to restore order. A scenario in which the Coup continued but Erdogan hasn’t been eliminated, would have probably pushed the country to the brink of a civil war, but in a much more chaotic, illogical and asymmetric way. 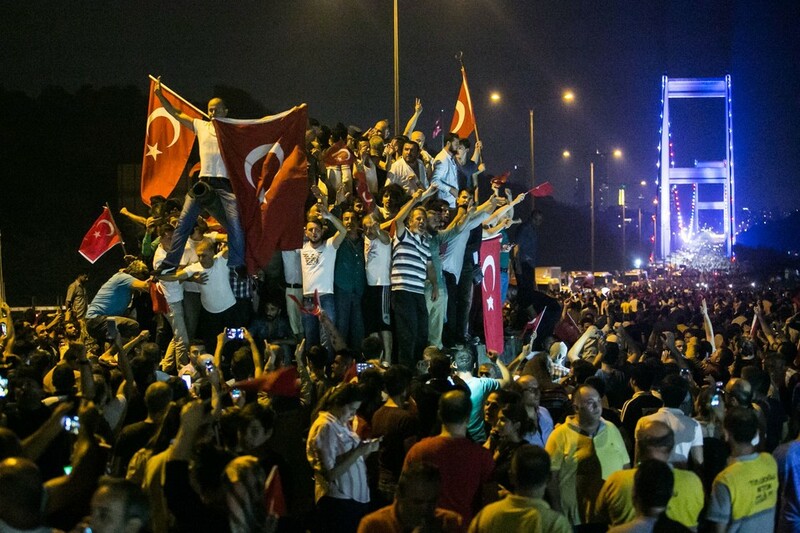 The nature of the Coup, the actors involved, the poor support and the strength of the current Government on the statecraft (political engineering, loyalty, clientelism, power networks) of Turkey has proved to be the most pivotal-important elements that decided the current outcome of the attempted Coup. AnkaraBinali YildirimCoup d'etatErdoganErdogan was savedfailed CoupGulen movement Turkish coupIncilik air base CoupIstanbulMiddle EastturkeyTurkey attempted Coupwhy did the Coup fail?